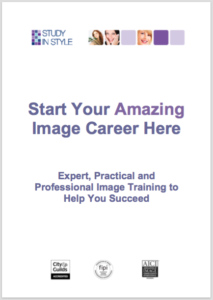 What Makes a Successful Image Consultant? Working in the image industry is a fantastic profession as you have the opportunity to work with clothes and fashion plus you also have the honour of being able to help people look and feel better. Here are some of my thoughts on the essential qualities of a good and successful Image Consultant. Obviously to be a successful Image Consultant or Personal Stylist it helps to like clothes, to have an interest in fashion and understand how outfits are put together. You’ve probably got your own sense of style and/or you are the person that friends come to when they have a clothing dilemma. However, almost equally important is the ability to build rapport with people quickly, as you need to be able to listen and empathise. 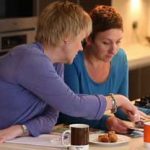 You need to have an interest in others and strong desire to help people – it is an advantage to be a people person as very often there is a lot of coaching, nurturing and even counselling involved when we’re working with a client. People don’t just come to us to for the theory, very often it’s for confidence or reassurance. Perhaps they’ve reached a point of change in their life and they’re just not sure they look like themselves any more. These tend to be the characteristics of a really good and successful Image Consultant or Personal Stylist, but rest assured, you don’t need to have any experience or previous knowledge before you start training, as a good training course should cover everything you need to get started. As part of your course you should learn all the technical information: eg how to conduct a colour analysis session or how to take someone shopping. We also teach you how to conduct yourself in a consultation – the right questions to ask, how to build rapport and how to put your clients at ease. People who work in the image industry tend to be self-employed although there are personal shopper roles available in some stores. The great thing about training to work in the image profession is that there are so many different opportunities to use your knowledge afterwards.